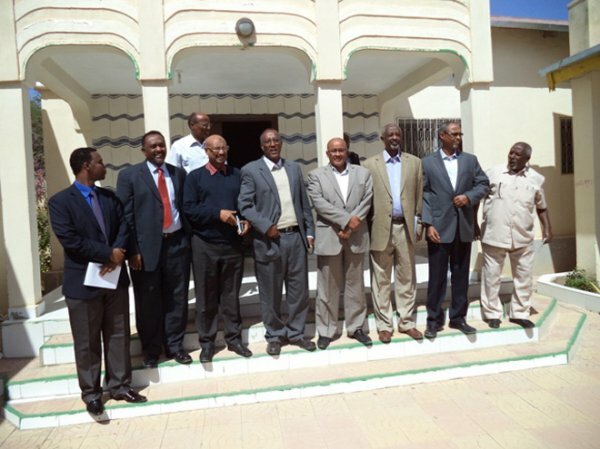 Somaliland Electoral Commission spokesman Saed Ali Musse said the decision to postpone the elections, which were supposed to take place on 26 June 2014, was taken due to lack of time and to the untimely registration of voters. The ruling party and the two opposition parties all supported this change of plans. The registration process for voters will begin in late July 2015. The anticipated general elections of breakaway Somaliland region in north-western Somalia have been postponed on Monday, Garowe Online reports. Somaliland Electoral Commission spokesman Saed Ali Musse told a news conference in the capital, Hargeisa, that the election deadline has been extended by nine months – a move that drew quick support from the two opposition parties and the ruling party, Kulmiye. He said the decision was made on account of the remaining time inadequacy and the untimely registration of voters. Musse said the registration process will be commenced in late July while speaking next to officials representing Wadani, Justice and social welfare and ruling Kulmiye parties. On March 4, the two main opposition parties united against the ruling party, calling on the government to hold parliamentary and presidential elections at the due-date. In mid-2014, opposition figures strongly contested the theme of election delay, threatening that interim government would come into being by the end of the year. Despite premature resignation by four minister-designates, President Siilaanyo reshuffled his cabinet last week. Somaliland, located in north-western Somalia declared its independence from the rest of the country as de facto sovereign state but it has not been recognized internationally yet. Photo courtesy of the Somaliland Sun.